Here are a few helpful hints to get the most out of your storage. We also suggest stopping by MORR-IS-Stored beforehand to determine which size unit is right for you. That way, you can meet our staff and make sure you’re comfortable and satisfied with your storage facility. 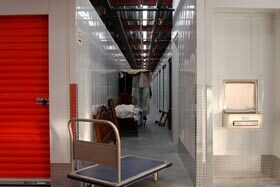 • Reserve your storage unit two to three weeks in advance to make sure we have the proper size available for your needs. • Fill all boxes to capacity to avoid collapsing. • Place strips of wood or pallets on the floor of the unit to create airflow. You do not want to place boxes or overstuffed furniture directly on the concrete floor. • Check with our staff if you need to purchase storage supplies, such as mattress or sofa covers. • Label all boxes when packing. It will make the moving process much easier and help you determine which boxes to leave in the front of your unit for quick access. • If it’s worth storing, it’s worth insuring. Check with your homeowners or renters insurance company to be sure they will cover your goods while in storage. • Cover furniture to help keep it dust free. • Place cedar in the unit to help keep items fresh. • Remember to check on your goods on a monthly basis.